Yoga helps you relax your mind and body. 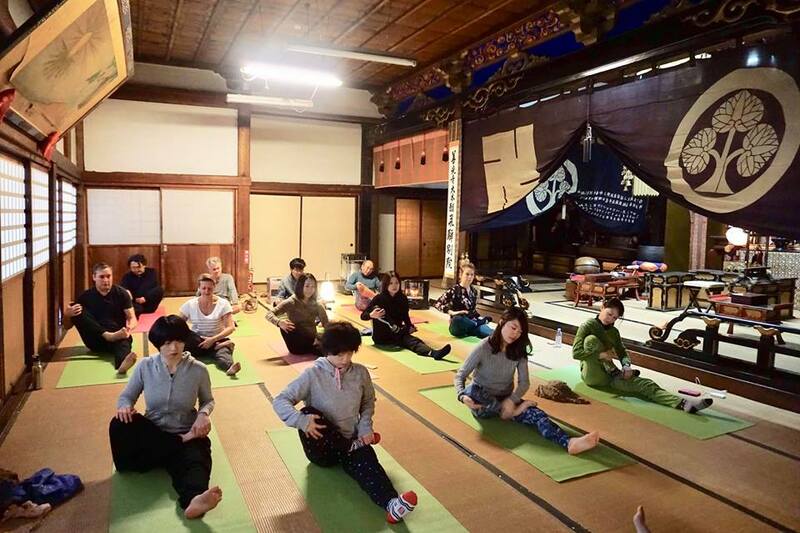 You can try doing yoga at the main hall of the temple. It only takes place a few times a month. Please ask us for the availability to sign up for this special experience. You don’t need to prepare anything to join. Beginners are welcome! 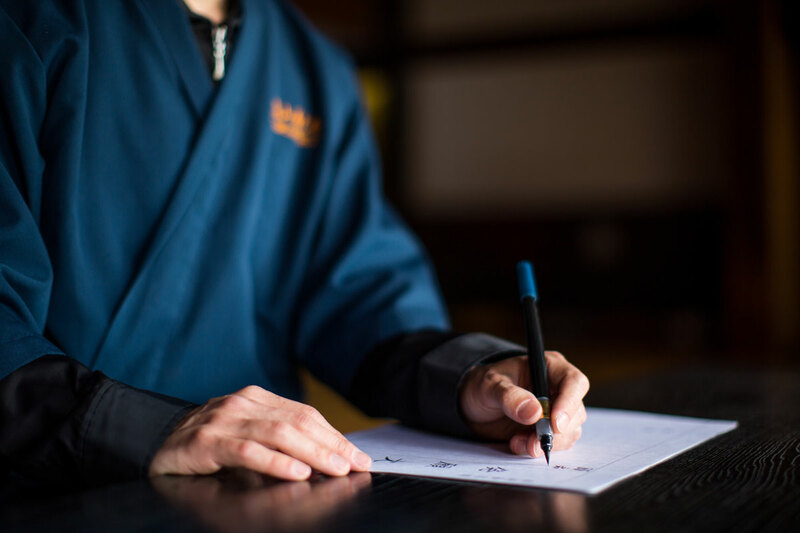 Shakyo, or sutra copying(transcription of words by Buddha) is to pray for fulfilment of your greatest wish and also to attain mental well-being by mindfully tracing the sacred scriptures. You can try writing for as long as you would like, and it also helps you improve your concentration. 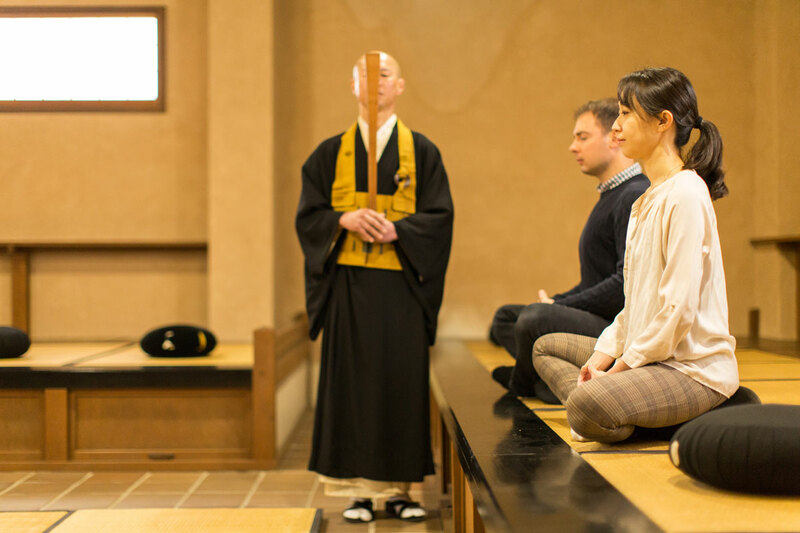 The chief priest of Zenou-ji Temple, Mr. Nakai will explain how to concentrate and do Za-Zen meditation. Meditation helps you improve your concentration and get rid of stress. There will be an English guide with you. Beginners are welcome! 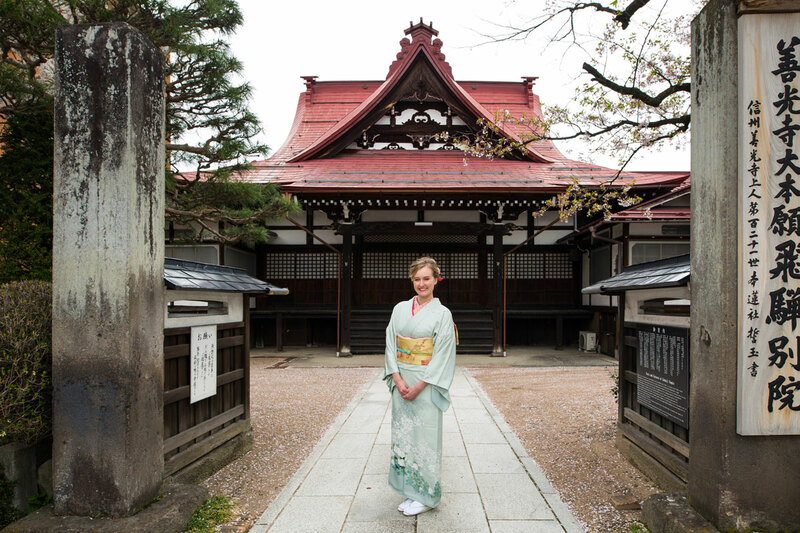 You can wear Japanese traditional clothes, Kimono at the temple and go out and take pictures. Just tell us when and how long you would like to wear. It makes your stay more memorable! 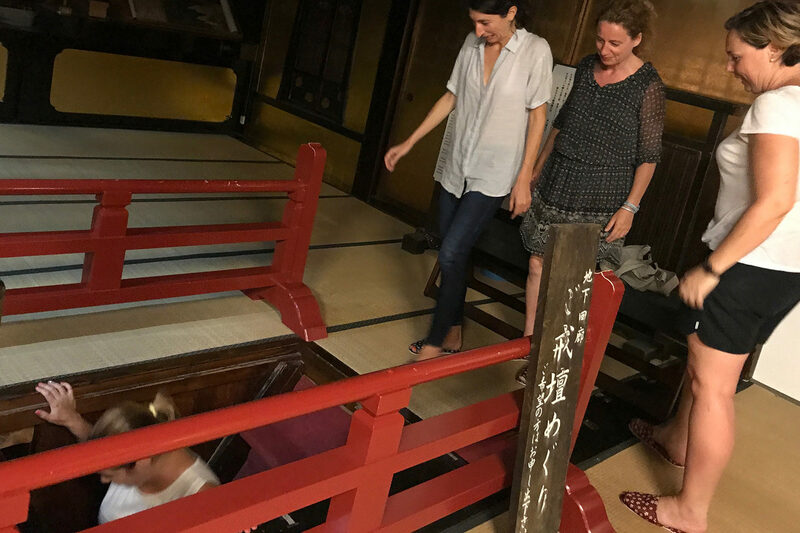 Anyone can enter the main hall,pray anmd receive Goshuin.There's Kaidanmeguri right nest to the main hall,and you can going down stairs.Please let staff know when you would like to come and pray. 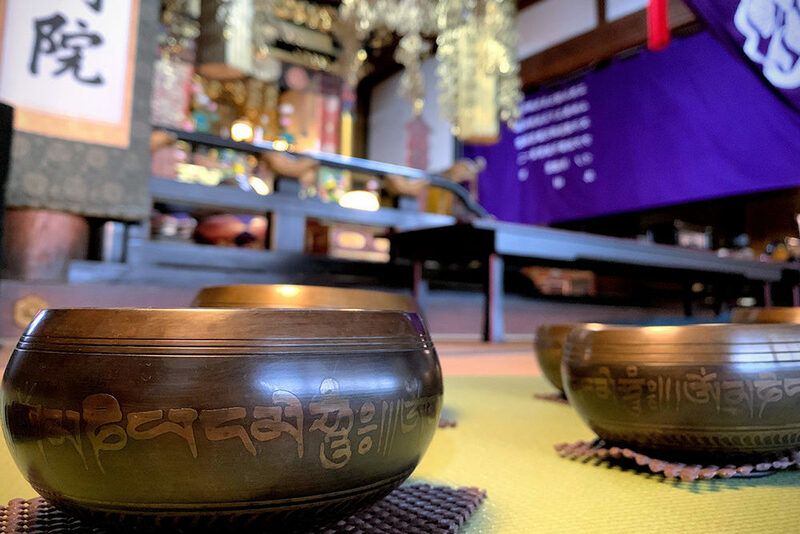 Why aren't you healed mind and body together by the mysterious tone of the singing bowl? You can be relaxed with a favorite posture in the main hall temple. Singing bowl is a sound healing tool for our core part living in the present age which received stressin information-intensive society. Copyright © 2019 takayamahostelzenkoji. All rights reserved.